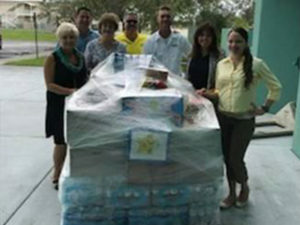 Cape Coral Technical College (Cape Coral Technical College) is an integral part of the community it serves. As such Cape Coral Technical College shares many of the same interests and problems, including a concern about crime. The Center experiences many of the same risks and threats as the community in which it is located. We are vitally concerned about the safety and well-being of our students, faculty, staff and all visitors who participate in the many activities, which we sponsor. Although the Center has not experienced a significant number of criminal acts or safety concerns, everyone should be aware of potential problems. We encourage you to join the effort to make Cape Coral Technical College a safe and secure environment for everyone. Check the Florida Department of Law Enforcement website for additional information regarding your safety and security. It is the policy of Cape Coral Technical College that all reasonable measures shall be taken to protect students, employees and visitors. It is expected that all faculty, staff and students will act in a safe manner and report any unsafe condition or dangerous situation. The Center will not tolerate any type of disruptive or inappropriate behavior that interferes with the primary educational mission of Cape Coral Technical College, or creates a threat to any person or property. We take a pro-active stance on safety and security matters and sponsor programs to encourage an awareness of safety and security hazards. 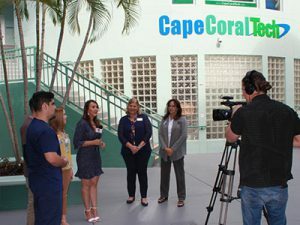 Cape Coral Technical College complies with state and federal laws, which prohibits the sale, use or possession of alcoholic beverages, illegal drugs, or weapons on campus. We cooperate with authorities in the enforcement of civil laws including a total No Smoking ban on campus. Cape Coral Technical College is a “Drug-Free Zone”. Cape Coral Technical College provides a two-way radio equipped security guard who helps with the protection of people and property for those hours the school is open or in session. However, cooperation and involvement of every member of the Center, student, staff and visitor, is absolutely necessary to ensure maximum safety and security. All persons must assume responsibility for their own safety and security of personal belongings. No security plan can attain maximum effectiveness unless everyone contributes to making it work. The following is a list of a few common sense precautions for your safety and security. Be patient when leaving the parking lots after class. Accidents have happened in the parking lot and in the intersection of streets surrounding Cape Coral Technical College. – Always walk in a group or with at least one other person. -Avoid working alone in a classroom, or isolated location at night. -Choose the most lighted pathway and stay on the sidewalks. If you are a victim, intended victim, or a witness to a crime, report if immediately to the administration. Be alert of your surroundings at all times, and if you see anything suspicious or out of the ordinary, notify administration immediately. – A description of the vehicles involved (if any) and a license number. Become an involved and alert student. Your ideas, comments and contributions to our safety and security efforts are encouraged and welcomed. Remember, we are always looking for ways to ensure that our institute is a safe, secure and healthy place to work and study. We challenge you to make this a personal objective while here. The subject of sexual harassment is covered during the school orientation. Instructors at Cape Coral Technical College are updated throughout the school year with important information on procedures for dealing with any sexual offenses. In addition we maintain a “Notification of Sexual Predators” file at the school front desk and its available for public review at anytime upon request. An Equity Coordinator is on staff and is responsible for handling complaints. Each incident is handled in a private, sensitive manner. You can ask to see the Equity Coordinator at the school front desk.